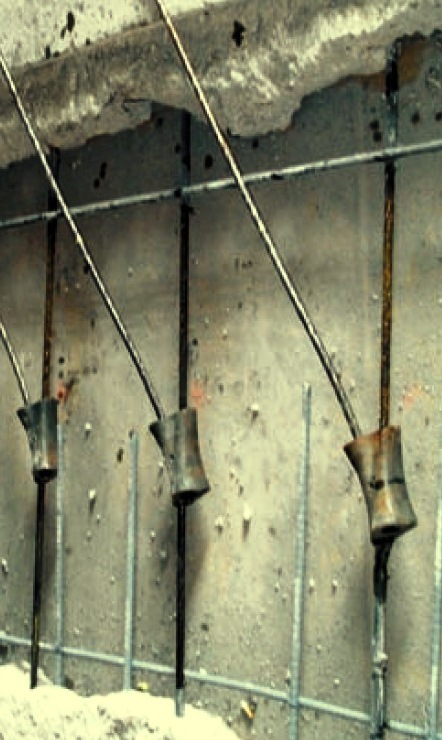 Reinforcing steel is sometimes stressed before casting of concrete and when repair of such prestressed steel have to be conducted, many complexity may arise. This is not as simple as reinforcing steel- just replacing or supplementing steel. In this type of concrete repair, the flexibility is very limited. As usual deterioration of strands/bars is due to corrosion, impact or fire. High strength strands may be annealed when subjected to fire. The complexity arises when high-strength strands have to be retensioned to restore structural integrity after repair. So repair techniques of bonded strand are not as same as that of unbounded strands. If bonded strands have to be repaired, it should keep in mind that they can’t be retensioned. But new strand as substitute of deteriorated one can be used externally and as this have to be retensioned, member size has to be revised to allocated provision for end anchorage. Again while additional use of strand, eccentricity may arise and it is responsibility of engineer to avoid unnecessary eccentricities. If eccentricity Cannot be avoided, balancing strands in addition have to used. Sometimes general guidelines for repair are not applicable for this type strands as in some cases member configuration and condition need only a specific type of repair. In such situation, repair techniques are developed on basis of respective case. 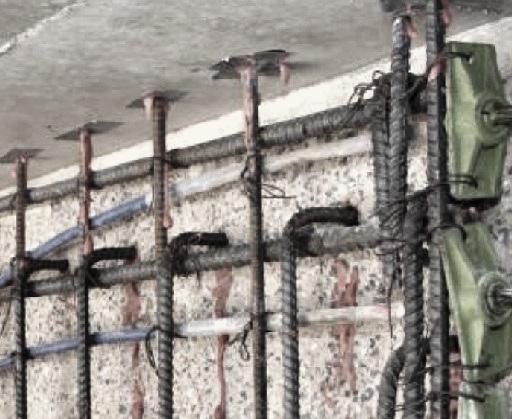 Unbonded strands lie in sheathing which is embedded in concrete casting. Sheathing is provided to protect strands from corrosion. Sometimes corrosion inhibitors are used for addition safety. These strands are usually retensioned. Thus some flexibility of repair is available in unbounded strands. Deteriorated portion with splice length of strand are exposed from concrete by chipping and cutting sheathing up to required length. Then the strand is cut down on both end of deterioration where new strand have to be placed. A tension strands should be cut very carefully. New strand replaces removed portion of strand which should be properly spliced with existing strand on both side at cutting location. It is considered that the strand is repaired and finally it is restressed to desired tension. The procedure discussed above is not so simple, it is possible to remove an unbounded strand from sheathing, but often it is difficult. Again replacement of strand of same diameter within sheathing is not also easy. When replacement is essential, it is practical to use strand of smaller diameter than existing one to facilitate placing. When structural capacity is concern, the replaced smaller bar must have higher strength than existing strand to sustain stressing force of retension.